CloudCnvert does not require any software installation. You simply upload your files to the site and once the conversion is finished, files are permanently deleted. 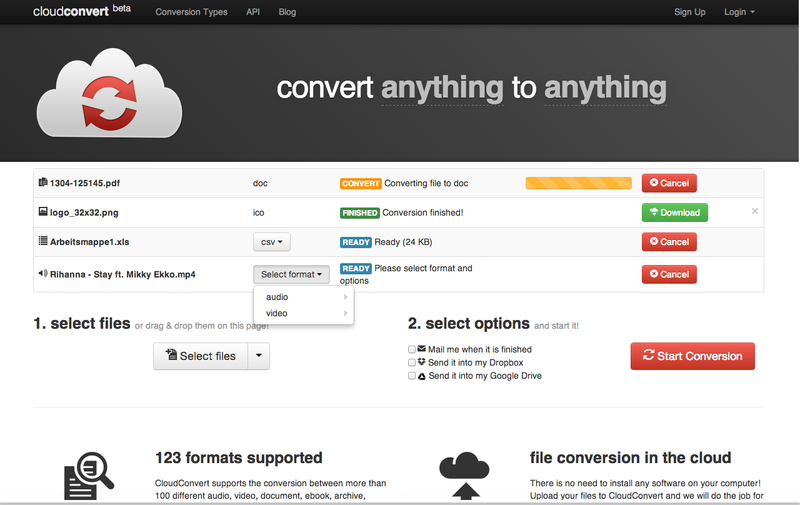 The free version of CloudConvert supports up to 1GB maximum file size and provides you with 25 minutes maximum conversion time per file.